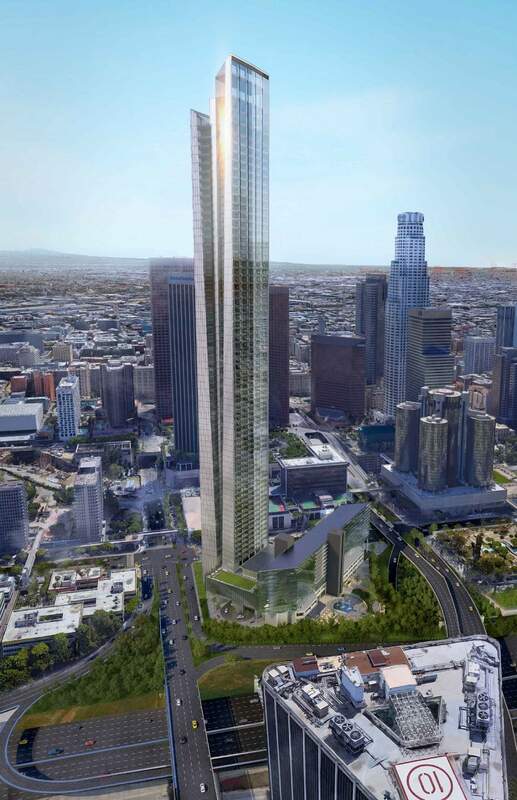 The Los Angeles skyline continues its upward climb as developers Shenzhen New World Group and Dimarzio | Kato Architecture (DKA) forge ahead with plans for a new 77-story tower that could cement L.A.’s claim as the home of the tallest building west of the Mississippi. 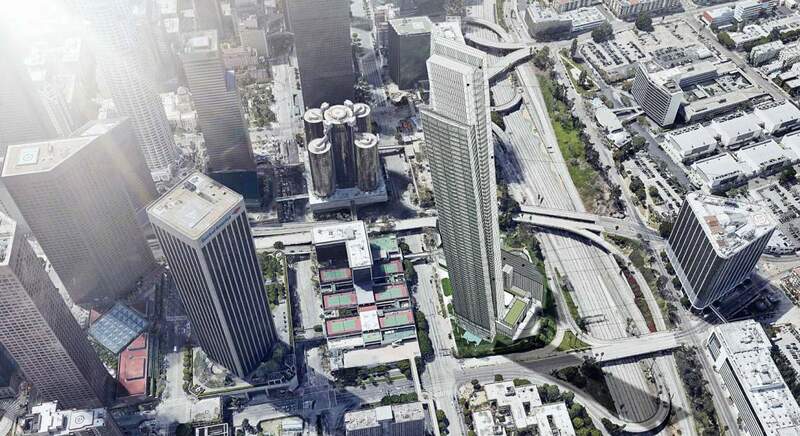 A recently submitted project proposal aims to bring a 1,108-foot-tall mixed-use tower complex to 333 South Figueroa Street, the site of the existing L.A. Grand Hotel Downtown in Downtown Los Angeles. 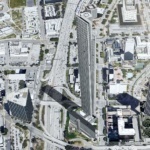 The site is just a few blocks north of the current tallest-in-the-west title holder, the AC Martin-designed Wilshire Grand Hotel. 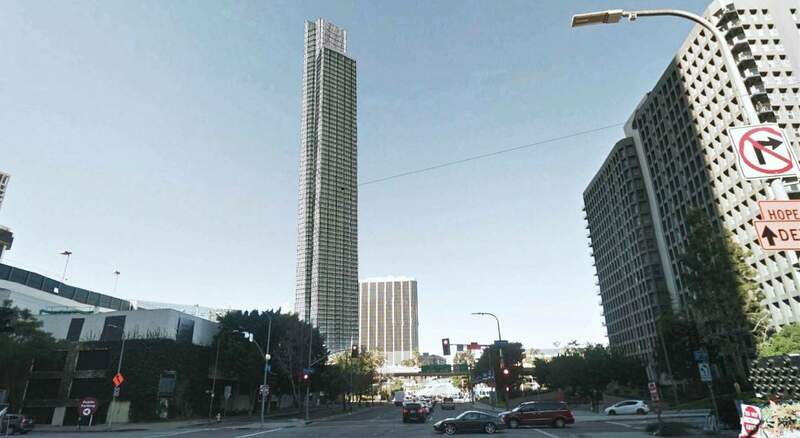 The proposal would convert the existing 13-story, 1980s-era hotel tower into 224 apartments while adding the new 77-floor tower at the northeastern corner of the site. 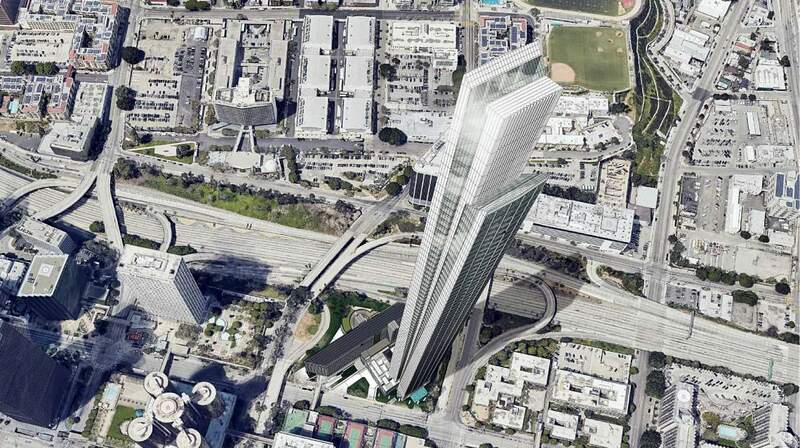 As proposed, the segmented, glass-wrapped tower would contain 599 hotel rooms, 242 condominiums, and 28,705 square feet of commercial space, among other features. 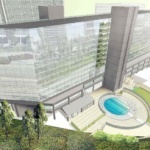 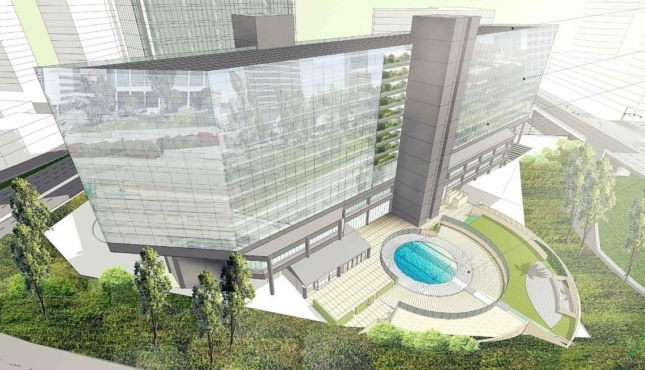 The hotel section will be complimented by 36,674 square feet of amenities that include a rooftop swimming pool and a two-level bar that would occupy the uppermost stories of the complex. 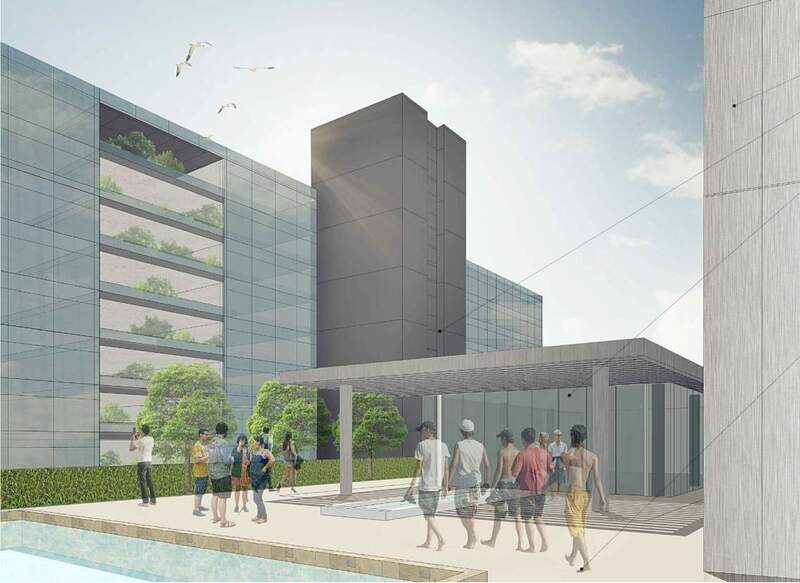 Renderings included in a submittal to the Los Angeles Department of City Planning depict a sheer tower that steps back slightly at the top to provide space for a swimming terrace. 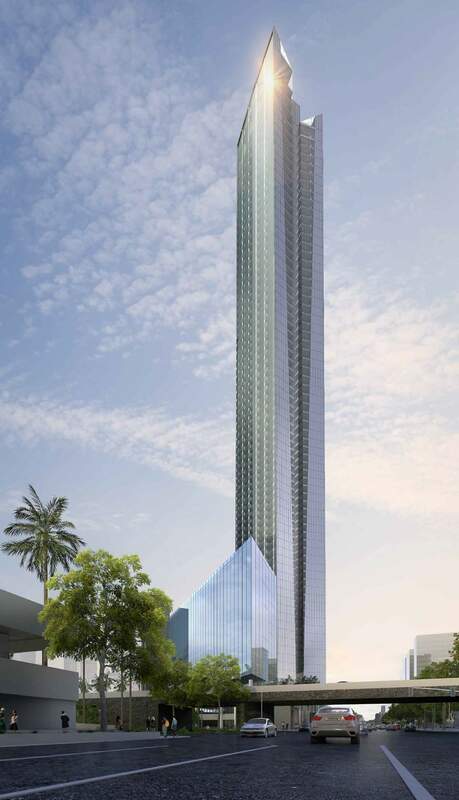 The tower touches down on the site where a three-story podium containing seven subterranean parking levels and 552 parking stalls is also planned. 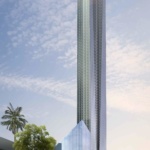 If completed as currently designed, the glass and steel tower would become the fourth tower in the city that rises above 1,000 feet in height. 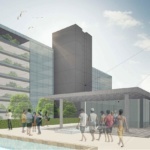 It is the second 1,000-foot-plus tower announced in recent months, with the forthcoming Angels Landing development by Handel Architects slated to rise 1,020 feet in height just around the corner. 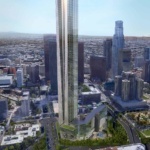 The U.S. Bank tower—designed by Pei, Cobb, Freed & Partners in 1989–rises 1,018 feet. 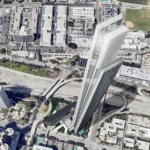 While the Wilshire Grand’s spire rises to a heady 1,100 feet, the building’s roof only hits 993 feet, a fact that has caused some to doubt the tower’s claim to the tallest building title. 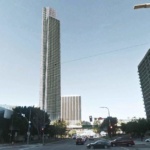 The 333 Figueroa tower would quell that conversation, however, as the spire-less tower would top-out roughly eight feet above the top of the Wilshire Grand’s spire. 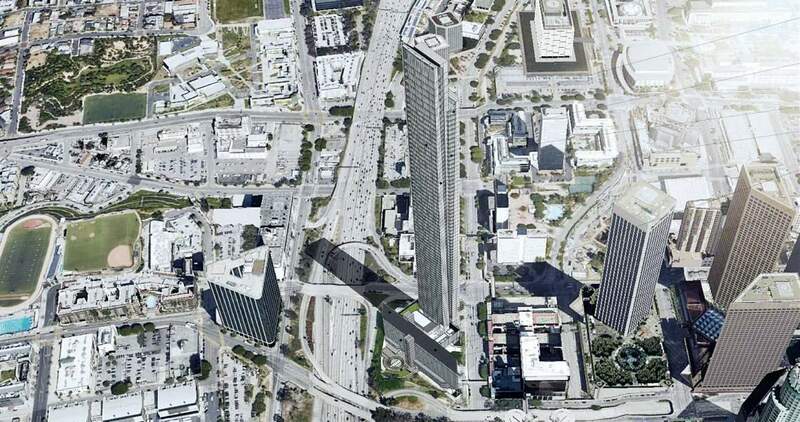 A timeline for 333 Figueroa has not been announced.